It may not look like it, but koya dofu is made based on a timeworn method. 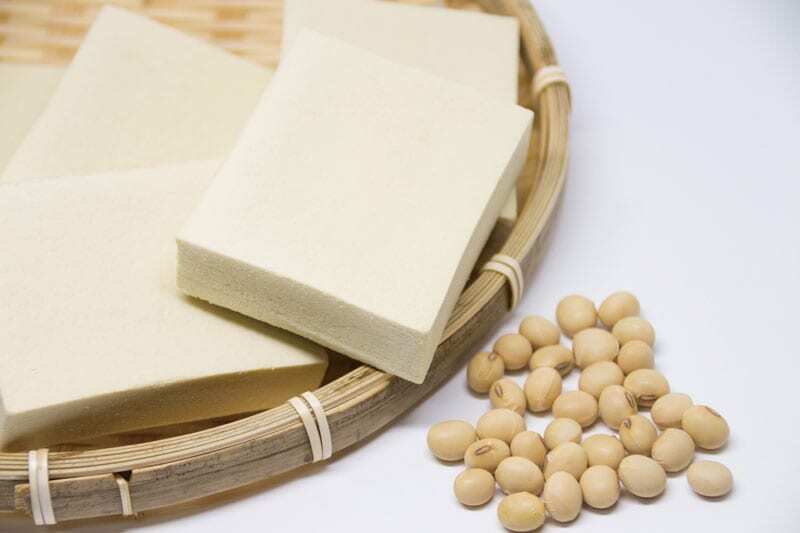 More than eight centuries ago, Buddhist monks in Japan took advantage of bitterly cold winter winds to freeze-dry bean curd and remove any moisture from it. In fact, koya dofu is named for the snowy location in Wakayama Prefecture where it is said to have originated—Mount Koya (Koyasan), one of Japan’s most sacred sites. Today, this low-fat delicacy can still be found in many of the temples in Mount Koya, as part of vegetarian shojin ryori cuisine. Koya dofu is also an incredibly versatile pantry staple in many Japanese homes, although it is now usually made by machines, not monks! Also called kori dofu, which means frozen bean curd, koya dofu is often simmered in dashi (Japanese stock) and vegetable soups as its light, spongy texture absorbs flavours nicely. So how is koya dofu formed? Freeze-drying turns the liquid inside the bean curd to ice, changing the colour, texture, size and weight. After thawing, all that remains is a beige and sponge-like tofu essence, instead of white and custardy tofu. Before eating, simply soak koya dofu in hot water for five minutes, then firmly press it between your hands to squeeze out moisture. Repeat this process until there is no more cloudy fluid. You can find koya dofu in Japanese supermarkets. Usually packaged as small, flat slabs, they can sometimes resemble wheat gluten cakes, so do not confuse them! But once you try koya dofu, you will find that it has a very pleasant flavour and is a fantastic source of protein.